Twenty years ago, on February 16, 1992, Congolese Christians responded to a call by the Catholic Church to protest peacefully and demand the reopening of the Sovereign National Conference (Conference National Souveraine - CNS in French). The conference was a democratic forum composed of delegates who represented all layers of the society in the Congo (Zaire at the time) from members of civil society, political parties, the military, the diaspora, as well as the president himself. This conference was tasked with interrogating the country’s history and finding a way to deal with the multidimensional national crisis (political, economic, social, cultural, and moral) that the country was facing in 1990. Today, the Catholic Church is repeating a similar call for action from the Congolese people and their allies. Through The Congo Council of Catholic Apostolate of the Laity (Le Conseil de l'Apostolat des Laïcs Catholiques du Congo -CALCC in french), the church urges the participants to demonstrate peacefully and non-violently. Political parties and civil society groups also joined the call, sharing that they will demonstrate in solidarity with the Christians in demanding the truth of the polls. ASHADO, a premier human rights organization in the Congo, has demanded that Congolese officials ensure that the constitutional right to peacefully assemble is not violated by the security forces and asks of the organizers to show respect for law enforcement officials. Click here to see cities participating in the commemoration of the March of Hope! A private plane crashed in Bukavu, South Kivu today. Major players in Congo's political landscape were on the plane and have been pronounced dead. Most importantly was Augustin Katumba Muanke who served as special adviser to President Kabila. It is widely reported that he was the main figure in a parallel government that shaped policy for the Kabila regime. Also on board and suffered injuries were Matata Mponyo Mapon, Minister of Finance, Marcelin Cishambo, Governor of South Kivu province and presidential adviser Antoine Ghonda. The plane crashed when it overshot the runway. 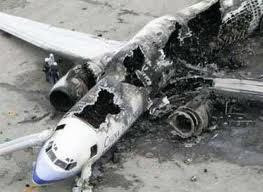 The crash occurred at 1 PM local time at the Kavumba Airport in Bukavu, South Kivu. Soldiers from Congo's military and the United Nations Security Mission in the Congo, Called MONUSCO rescued several injured passengers from the plane and . The two pilots of the plane died in the crash. The Democratic Republic of Congo is one of the most dangerous places to fly in an airplane. However, the crash presents the greatest danger to the Kabila regime. The loss of Katumba Muanke is potentially fatal for the Kabila government.